Garlic is mostly used as a spice but do you know that it has a number of amazing health benefits that ranges from beauty enhancement to hidden home repairs? Nutritionists believe that Garlic could help you control your weight. To take advantage of this benefit, try to cook with it daily. Placing a slice of it over the sliver and covering it with a bandage or duct tape has been a folk cure for years. If you have a splinter that accidentally pierced your skin, try this out and thank us later. If you are experiencing hair loss, you can put garlic to good use. It contains high levels of allicin, a sulphur compound similar to that found in onions, which were found to effectively treat hair loss. Rub sliced cloves of it on your scalp. Ensure you squeeze as you do so to get the most benefit. You can also infuse oil with it and massage it into your scalp. In addition to preventing hair loss, using garlic like this also acts as one of the most effective dandruff remedies out there. 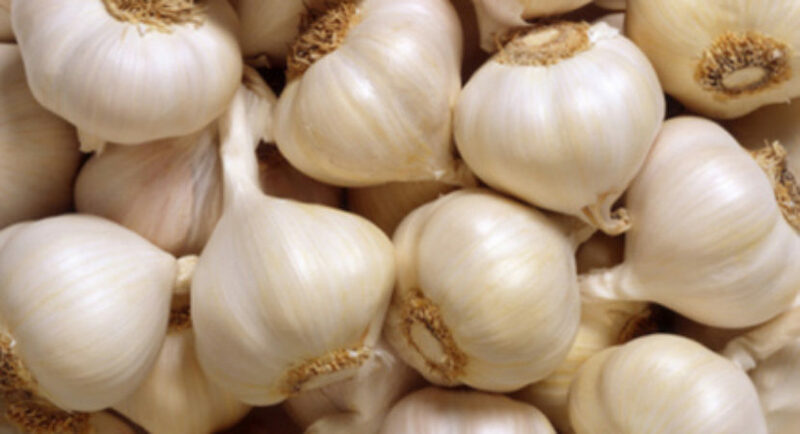 While you wouldn’t find it as the main ingredient in acne medications you get from pharmacies, garlic makes a great natural remedy to remove blemishes from your face. It contains antioxidants which kill bacteria. Just rub a sliced clove of garlic on the pimple to get an effective topical treatment. Since garlic is packed with antioxidants, a daily dose of it in your recipes could benefit your immune system. If you have a cold, try sipping garlic tea: steep chopped or minced garlic in hot water for several minutes, then strain and drink. You can add a bit of honey or ginger to improve the taste. One of the most surprising garlic benefits is that it can improve your skin. Since the cloves have proven anti-inflammatory properties, it could be useful in relieving uncomfortable psoriasis outbreaks. Try rubbing a little garlic oil on the affected area for smooth, rash-free skin.